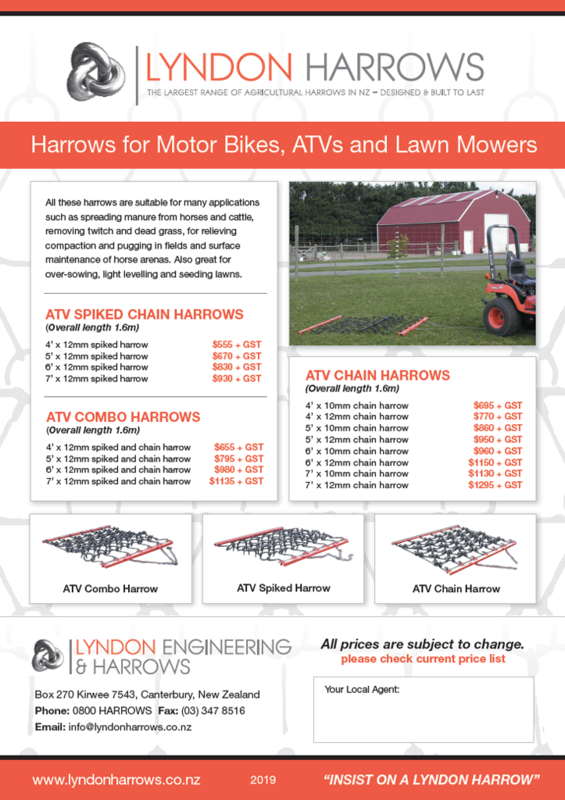 All these harrows are suitable for many applications such as spreading manure from horses and cattle, removing twitch and dead grass, for relieving compaction and pugging in fields and surface maintenance of horse arenas. 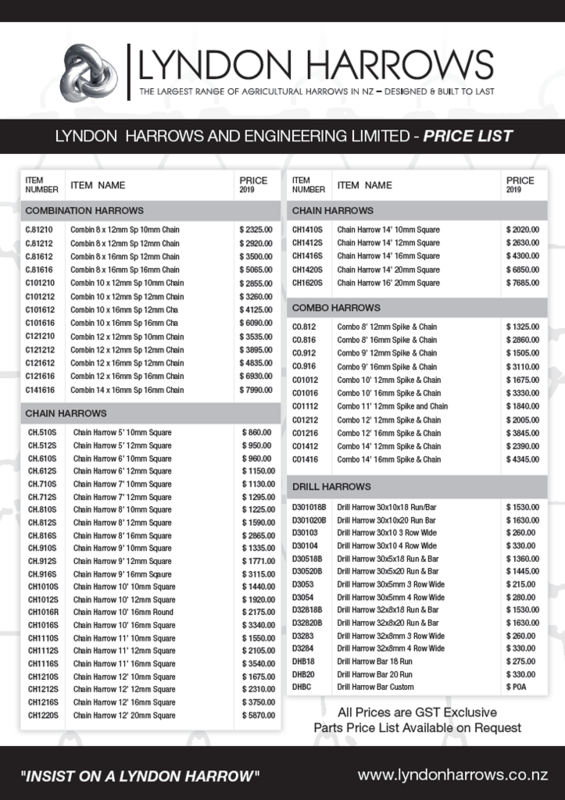 Also great for over-sowing, light levelling and seeding lawns. 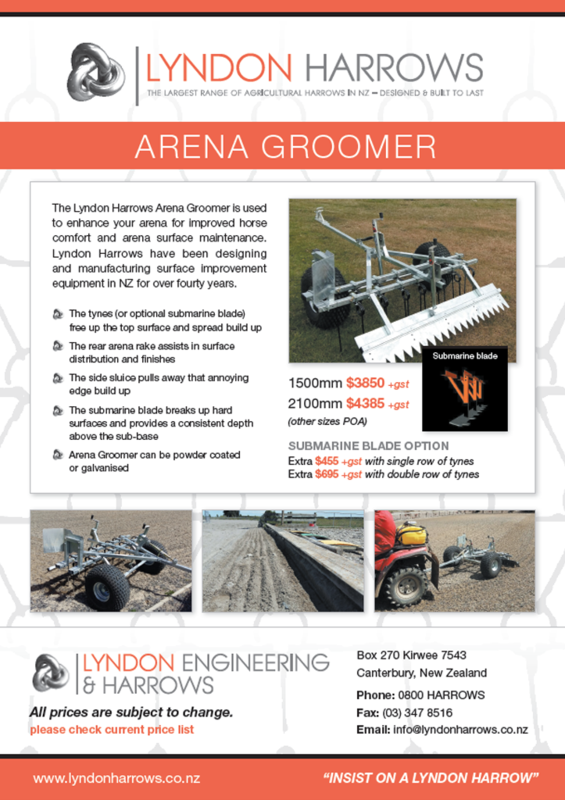 The Lyndon Harrows Arena Groomer is used to enhance your arena for improved horse comfort and arena surface maintenance. 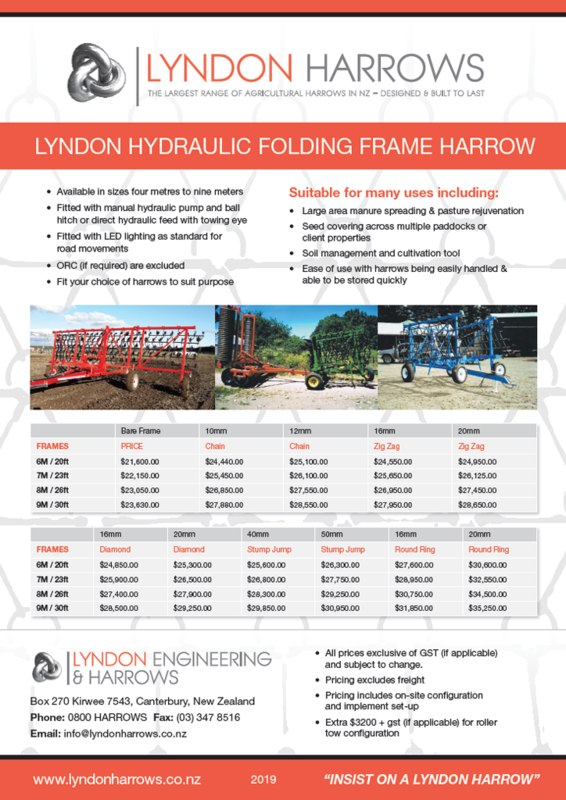 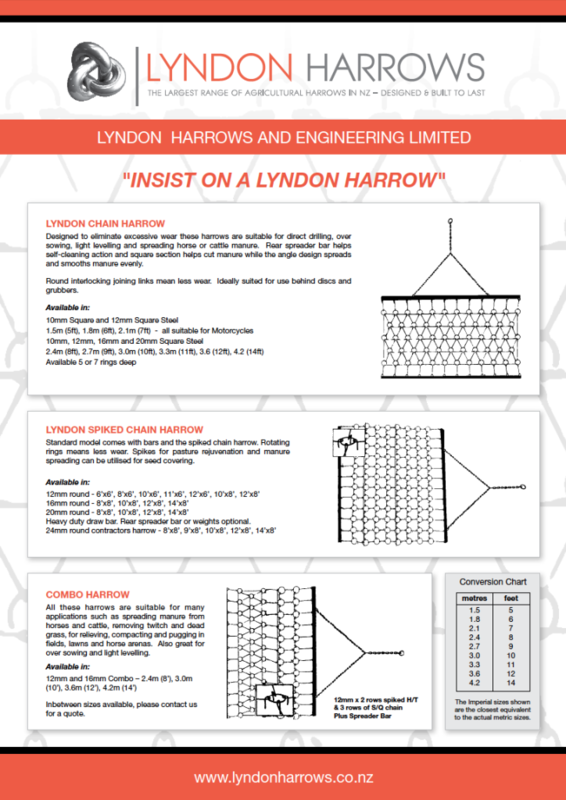 Lyndon Harrows have been designing and manufacturing surface improvement equipment in NZ for over fourty years.